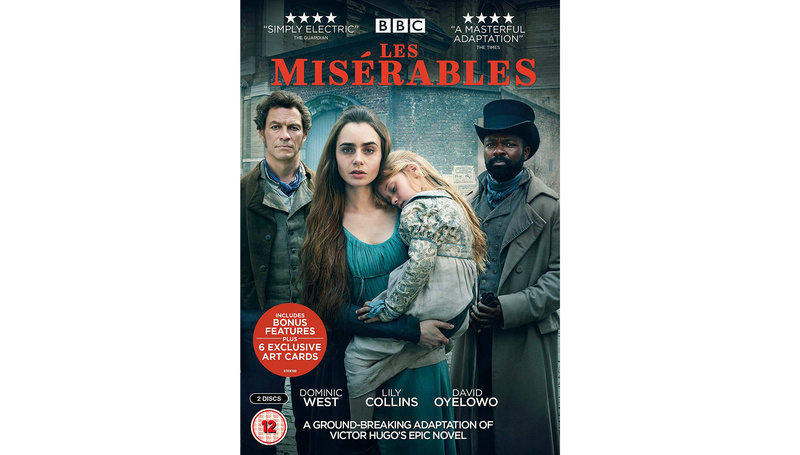 To mark the release of Les Misérables on 25th February, we’ve been given 3 copies to give away on DVD. Adapted by the award-winning screenwriter Andrew Davies, Les Misérables is the story of Jean Valjean and his nemesis, the police officer and former prison guard Javert, who is determined to bring him to justice. Meanwhile Fantine, a working class woman abandoned by her rich lover, is driven to increasingly desperate measures to provide for her young daughter. Les Misérables has a distinguished cast with Dominic West as Jean Valjean, David Oyelowo as Javert and Lily Collins as Fantine. The cast also includes Adeel Akhtar and Olivia Coleman as Monsieur and Madame Thenardier, Ellie Bamber as Cosette, Josh O’Connor as Marius and Erin Kellyman as Eponine.